Amping up the gore and thrills. 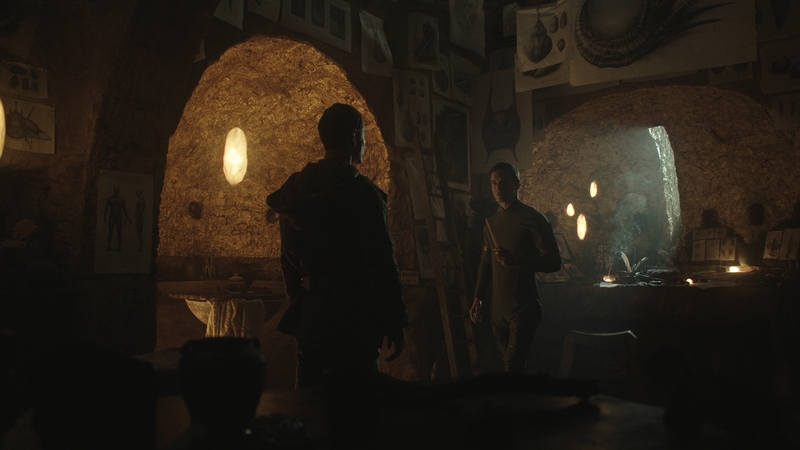 Ridley Scott’s latest sci-fi horror film in the Alien franchise, Alien: Covenant, is sufficiently frightening. 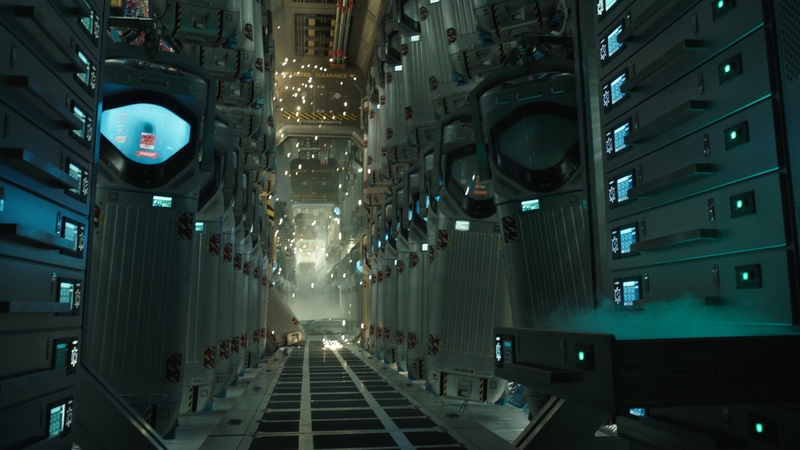 The Luma crew are BIG TIME Alien fans, so we were thrilled to complete visual effects work for three sequences in the film; creating James Franco’s digi double, a creature-like spores virus that travels into a CG ear canal, cryopod graphics and work for David’s daunting and cave-like laboratory. Luma added an extension of the colony pod to the massive Covenant spacecraft holding 2,000 colonists and the Covenant crew. The team keyed out a green screen backdrop and added corridors to achieve depth and make the space feel boundless. Luma also added holographic displays to the chamber hoods. To do this, the crew tweaked the parameters and dials within the UI design to suit the story, especially as the circumstances of the occupants in the pods begin to change. 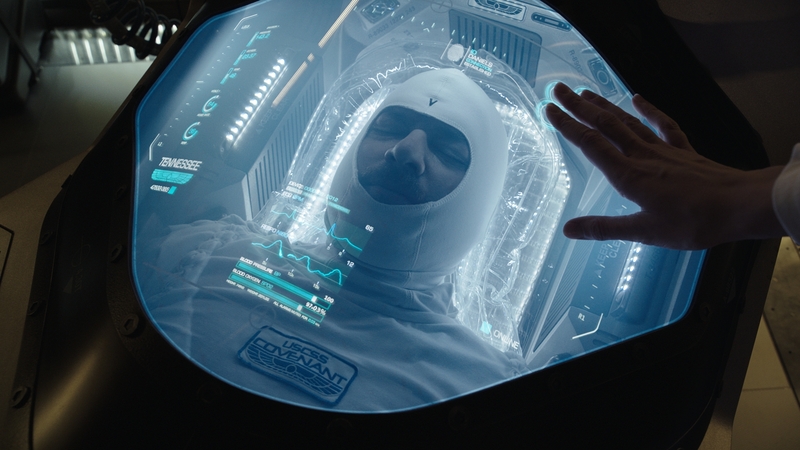 In the instance where the fire breaks out in James Franco's character's pod, it was necessary to change the health vitals to show oxygen levels and the increasing heart rate to make it clear enough that the character was in danger. Luma’s designed various styles of animation with varying speed to ensure the vitals and measurements were based on real world medical readouts. 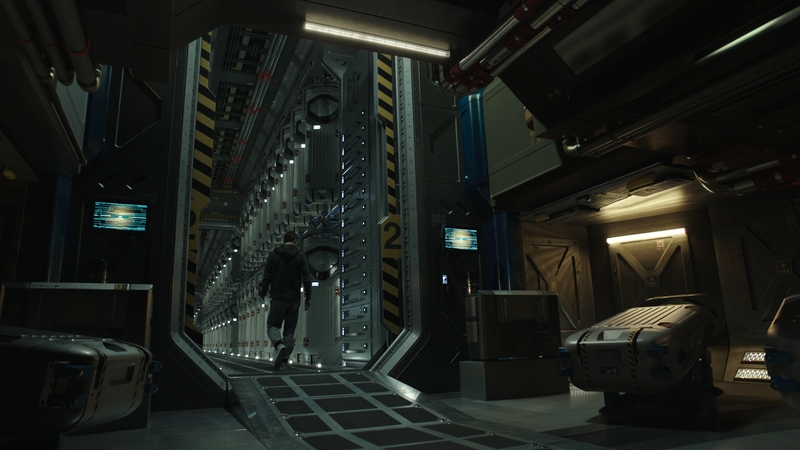 These graphics were much more about function leading form rather than it being all about design”, says VFX Supervisor Brendan Seals. 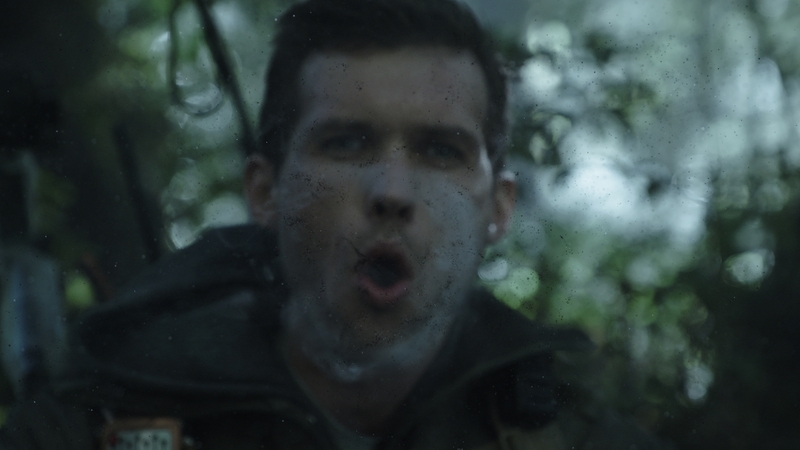 Two characters venture off into the forest together near a lake, when one of the characters steps on a bed of fungal growths. Spores emit into the air and form into a virus that takes a creature-like form and enter the character’s ear. To create this virus, Luma developed particle simulations that were based off the murmuration of flocks of starlings. 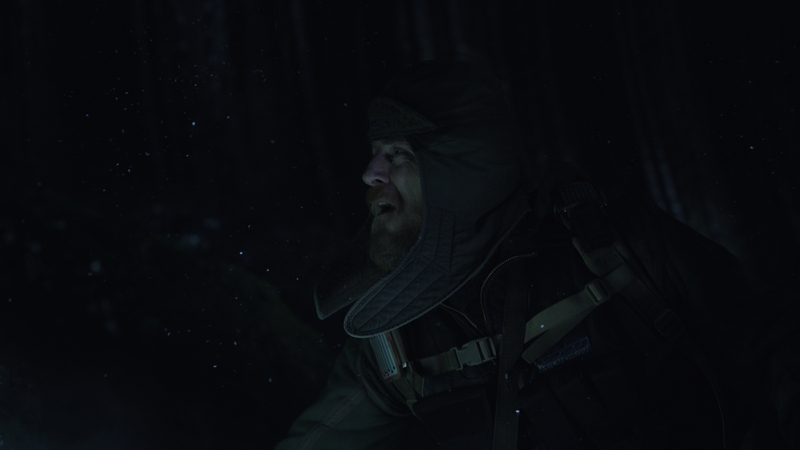 Effects artist Omar Meradi defined this behavior and was able to establish a difference between “leaders” and “followers”. The team then created 3D volumes that contained the cluster of spores which form a threatening shape into a silhouette. The silhouette itself was designed internally with a story and concept: Concept artist Nicolas Pierquin designed a model with cues taken from the facehugger alien and the underwater creatures. To create the CG ear canal, the Luma team studied real world references of endoscopic photography and medical imaging of an ear canal. Most of the available references had a shallow depth of field, a spherical lens, a lot of distortion and a light attached to the camera. 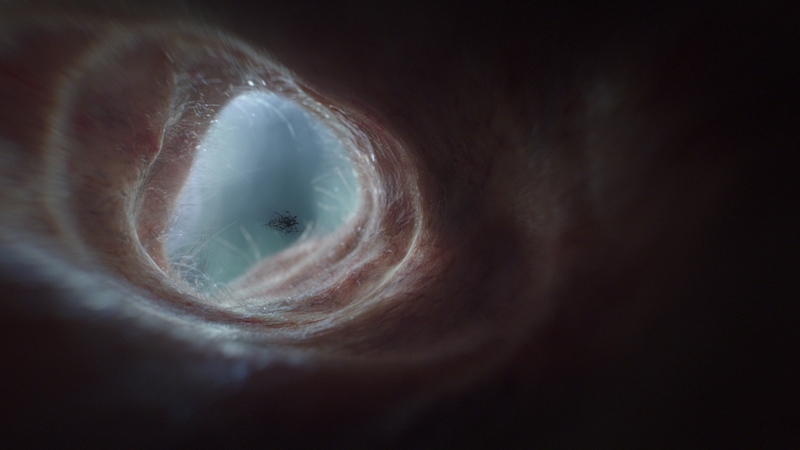 “The trick was recreating a photoreal ear canal with a tiny camera inside to create something that looked cinematic and a part of the Alien universe”, explains Brendan. 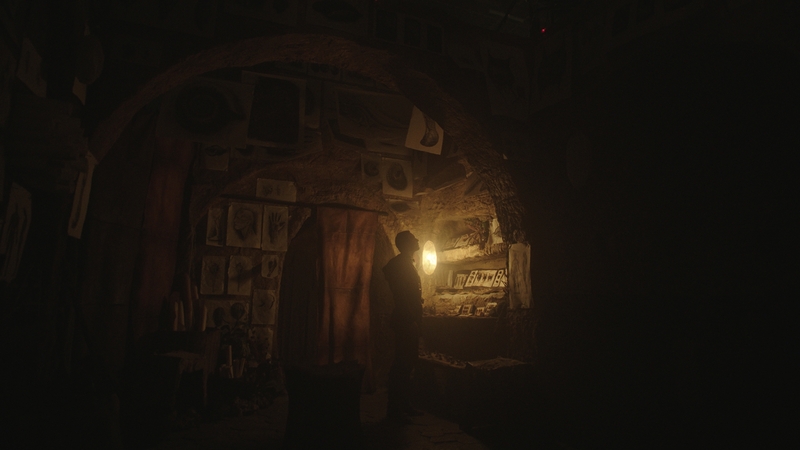 David’s cave-like lab is lit by floating lamps that are similar in shape to crystal salt lamps. Luma replaced the lanterns from the set and initially experimented with caul fat membrane as the sheath that wraps around the light. The team also simulated orbs that move inside the lamp along with a swarm of motes that fly around the light source. 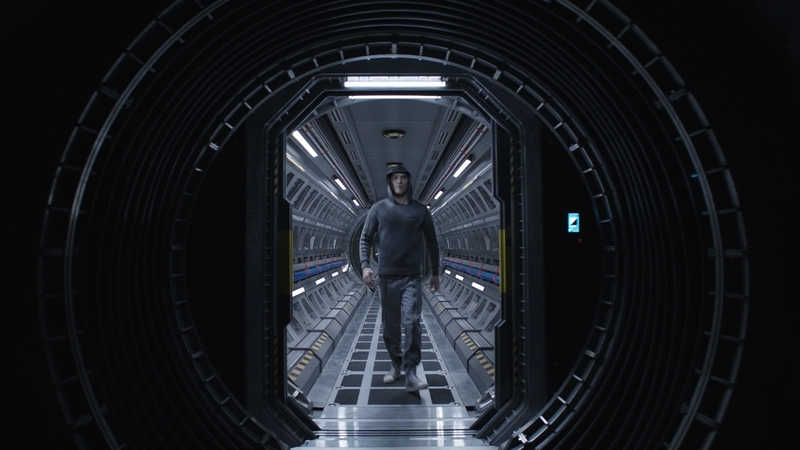 I’m a huge sci-fi fan, and like most of our crew, I was incredibly proud and thrilled to be given the opportunity to work on the Alien franchise and be a part of filmmaking history! Sleep well. Don’t let the bedbugs bite.